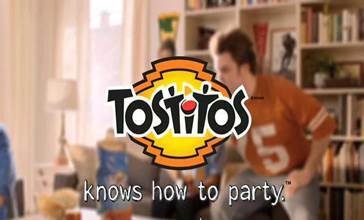 The 43rd Annual Tostitos Bowl kicks off January 1st at the University of Phoenix Stadium. This year, No.15 UCF Knights face No.6 Baylor Bears on the gridiron for the coveted trophy. PressPassLA was on hand at Cabo Cantina on the Sunset Strip in West Hollywood, California for the pregame party hosted by hip hop Icon Nelly. At this exclusive event, guests were able to sample the not yet released Fajita tortilla chips and Queso Blanco dip, while washing them down with Cabo’s world famous margaritas. 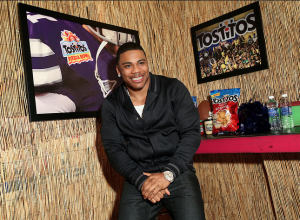 I had to pull myself away from the snack table to keep my composure before chatting with Nelly! These new items will hit shelves just in time for the Fiesta Bowl, but you better get them fast because they are YUMTASTIC (a new word I invented because something this good deserves a special adjective)! Nelly was a gracious host greeting all the media outlets as if we were guests in his home. He is a huge supporter of the University of Missouri (affectionately known as MIZZOU) football program. Just follow him on Instgram @derrtymo and you’ll see pics of him cheering the team on from the sideline. Nelly told me that he hopes in two years, MIZZOU could be in the SEC program and potentially be Bowl contenders. This megastar is so humble. With the wild success of his television show, The Real Husbands of Hollywood, his freshly inked deal with Honey Nut Cheerios, and the recent release of his seventh studio album Nelly M.O., Nelly is the one to watch. He told us while we’re watching him, he’ll be watching the Fiesta Bowl with a big bag of chips and bowl of dip. You can get your own bag of Tostito’s Fajita tortilla chips and Queso Blanco on shelves soon in time for the big game. Watch Nelly in The Real Husbands of Hollywood on BET Tuesday nights at 10 p.m. His seventh studio album, Nelly M.O. is available for download on ITunes and on shelves wherever music is sold.